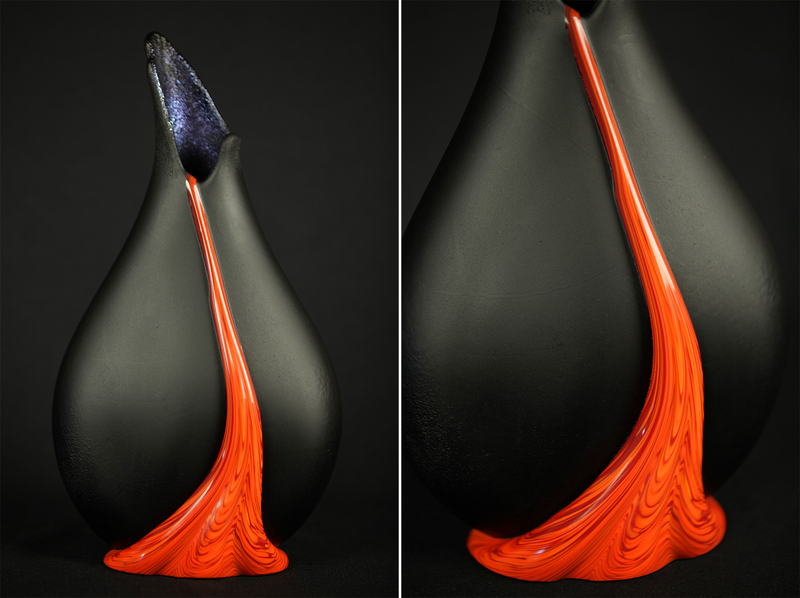 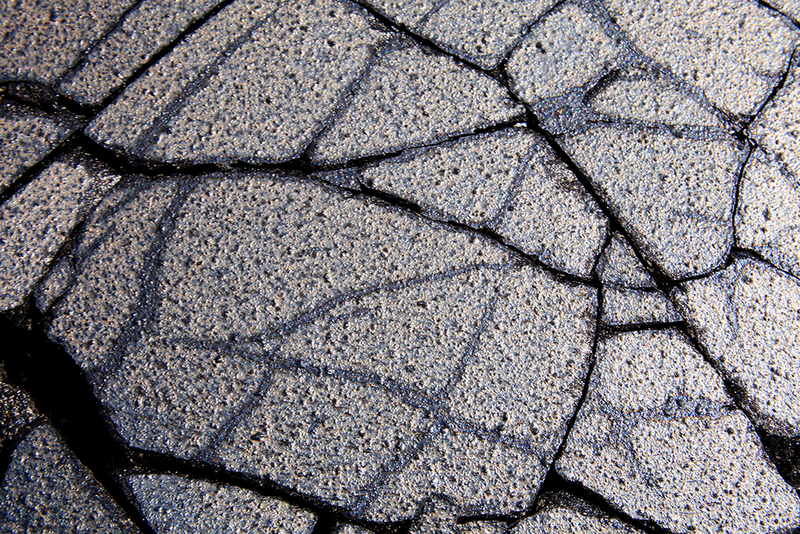 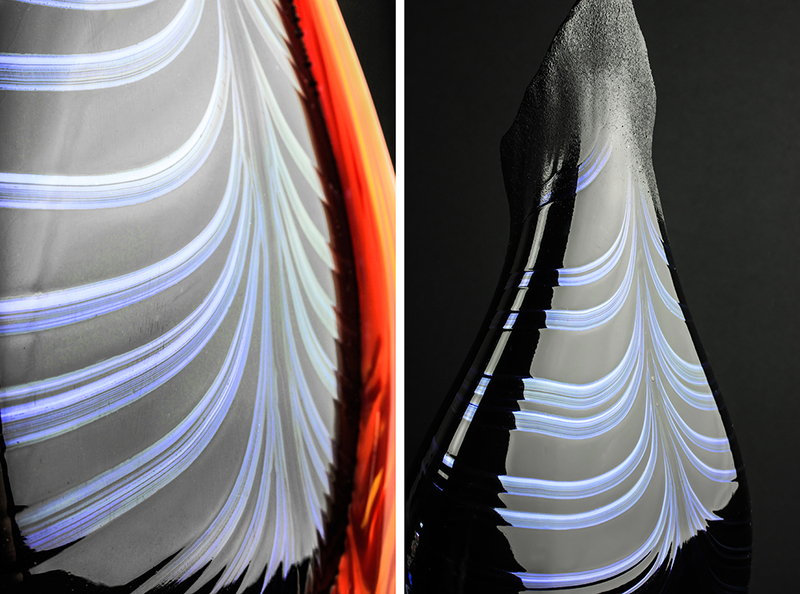 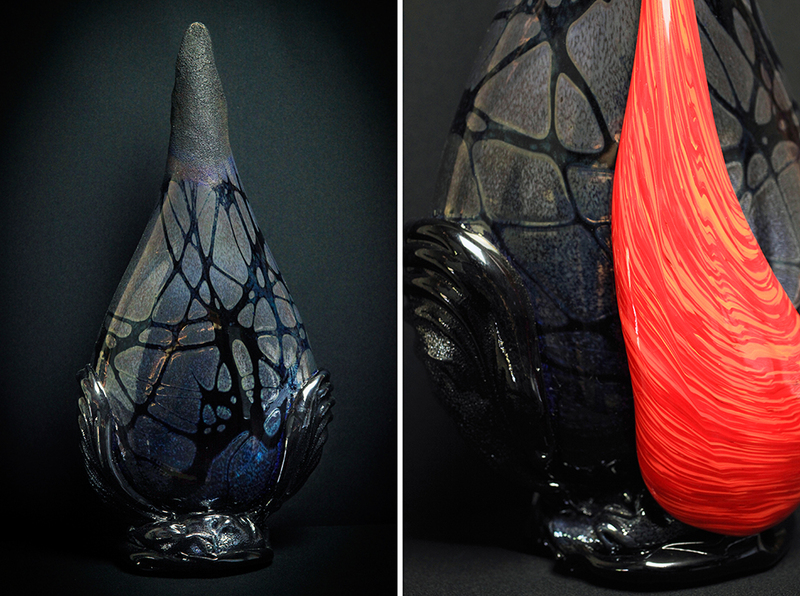 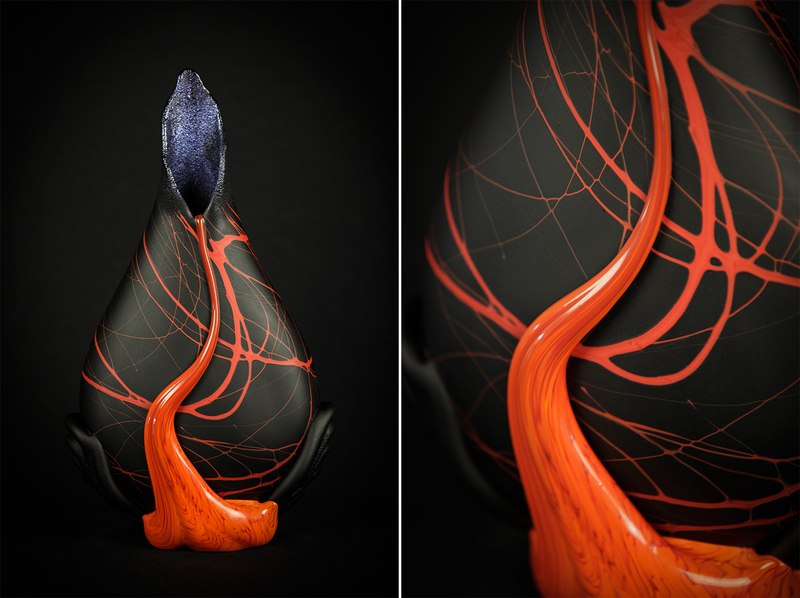 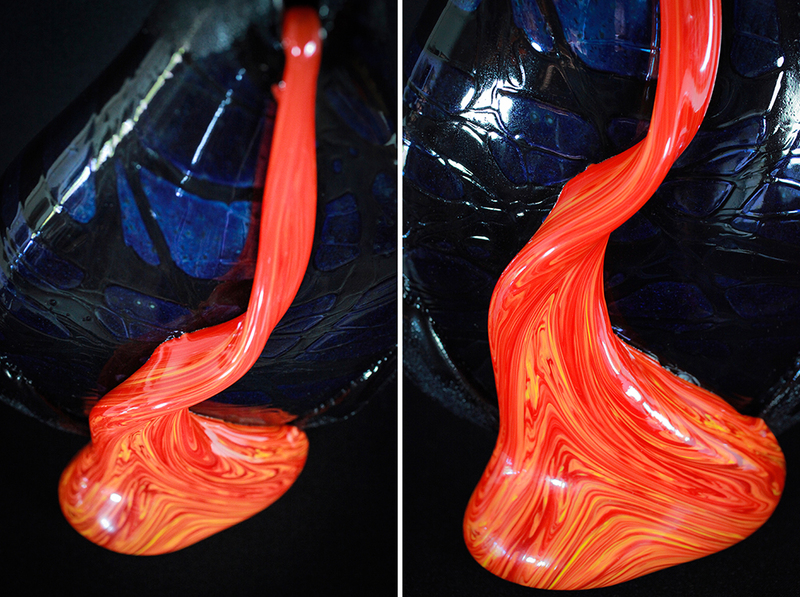 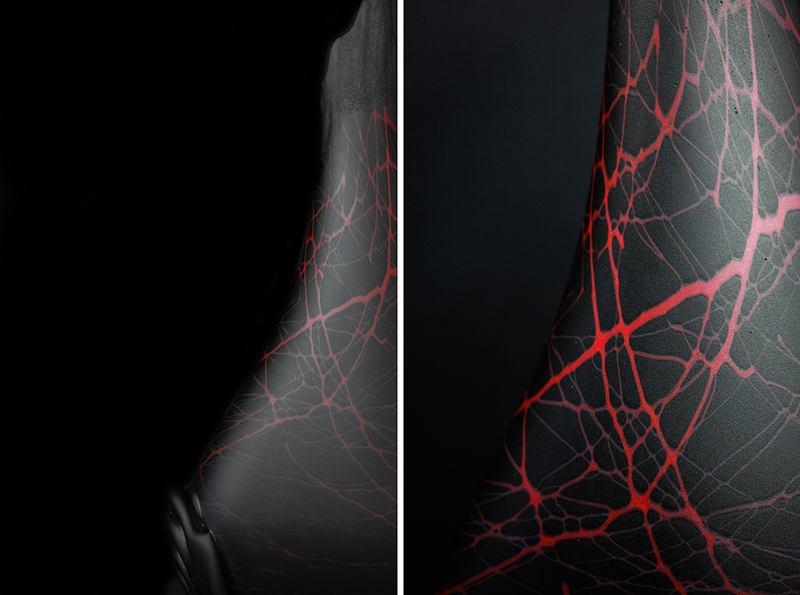 The Black Kilauea Surface Flow vase. 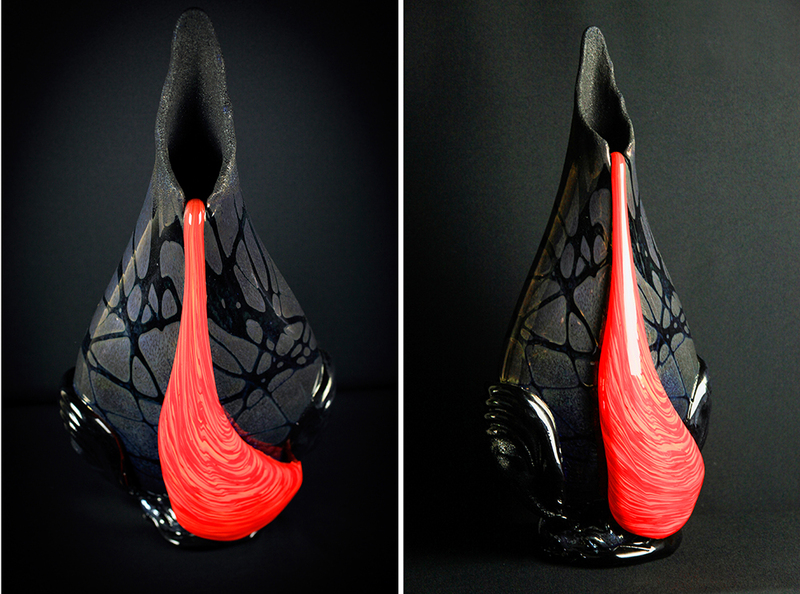 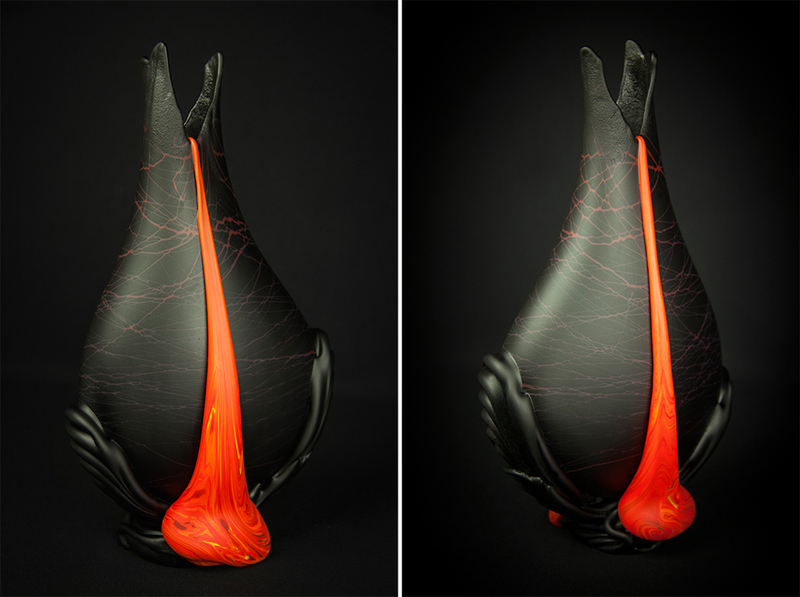 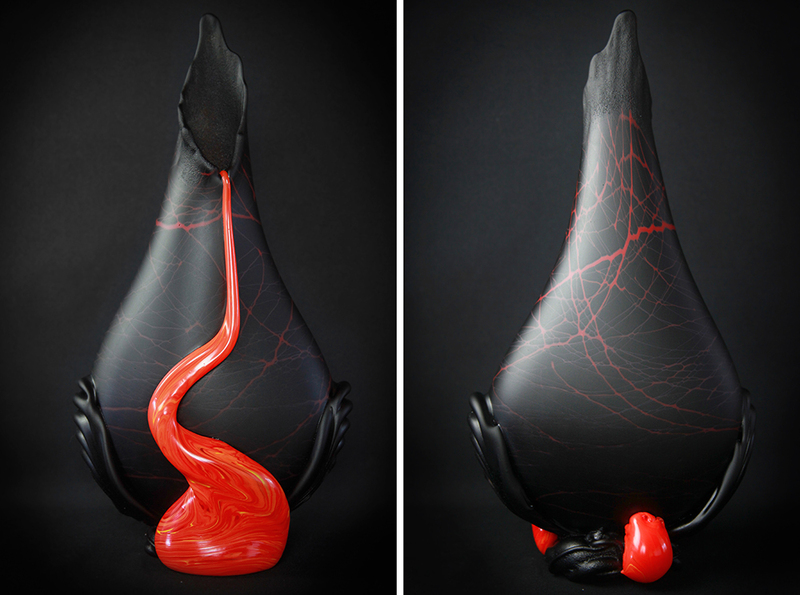 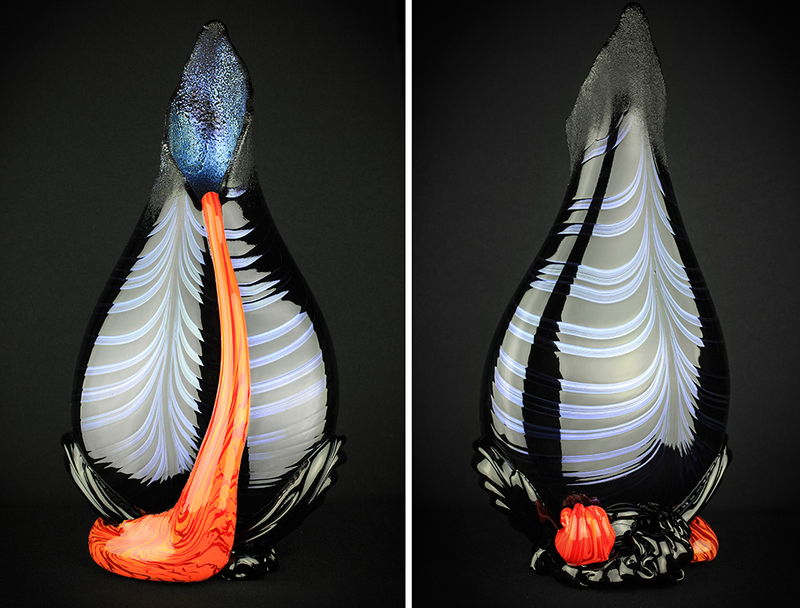 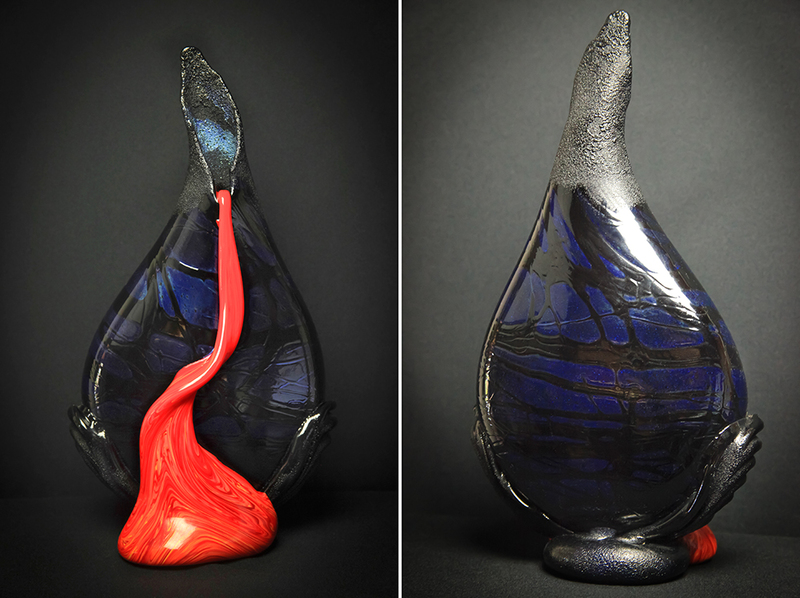 The Kilauea Black Surface Flow vase renders the dramatic magma flowing down the mountain at the Pu’u O’o cone . 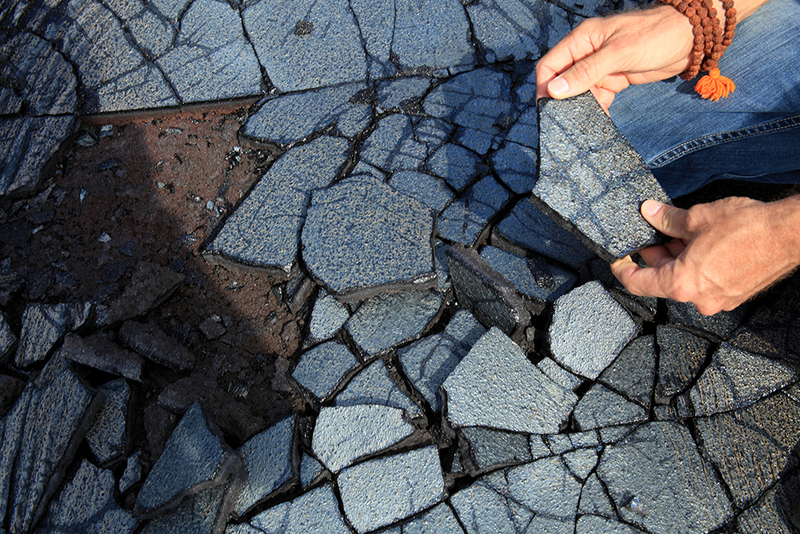 This on-going eruption has produced a broad field of new lava flows that have buried over 117 sq km of the volcano’s south flank and added more than 230 hectares of new land to the island. 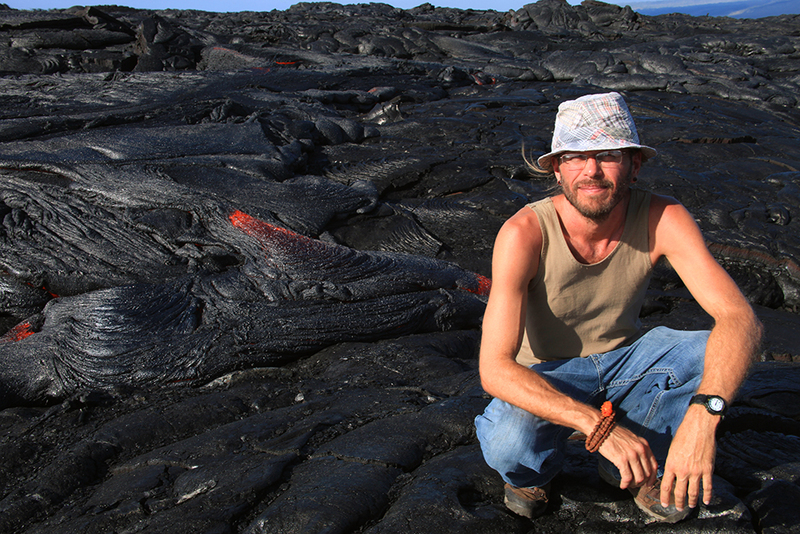 The Volcanic flow from Kilauea has been the source of inspiration for Daniel for many years. 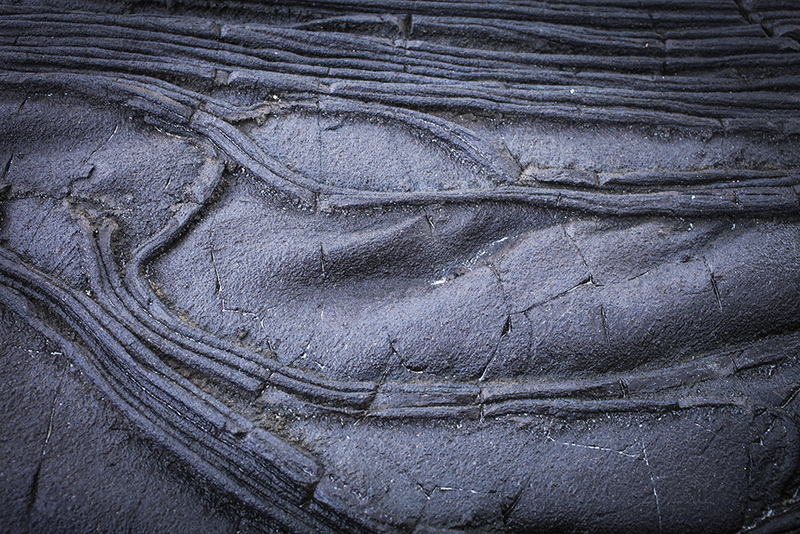 Witnessing the lava pouring and bursting through the cracks of the dry black lava rocks and into the ocean at times, is one of the most fascinating things we get to witness on this island. 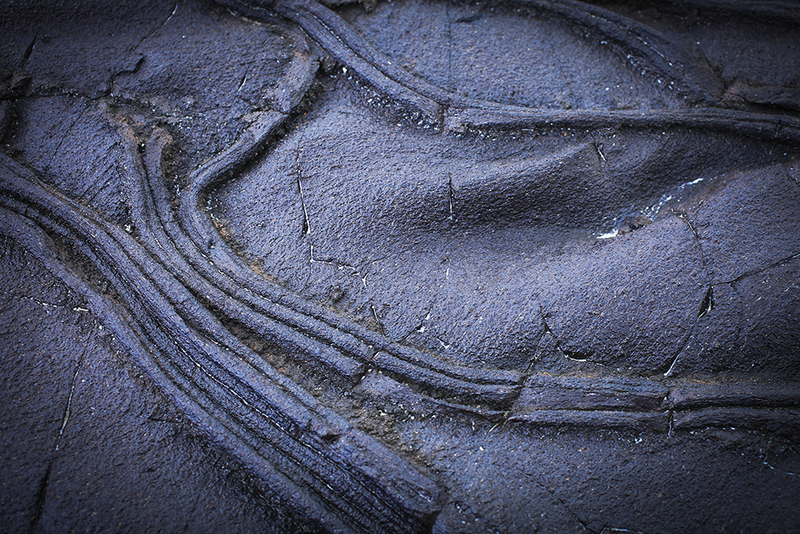 The pure raw creation of new land. 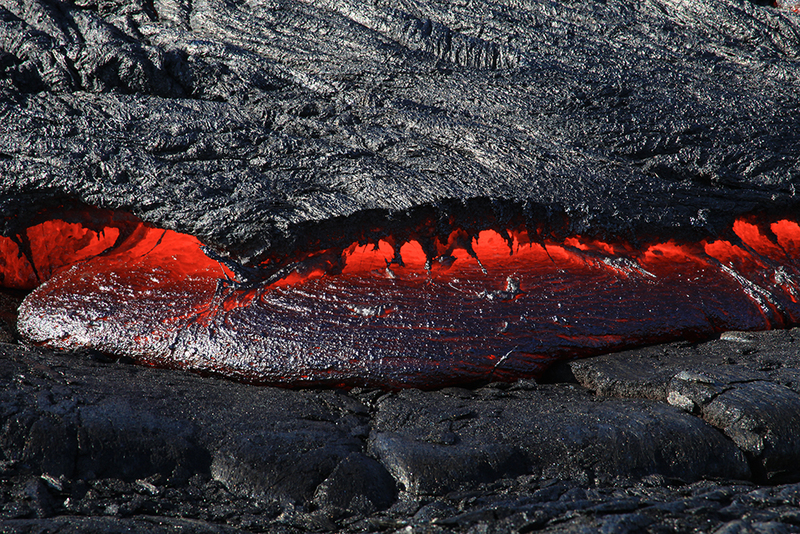 Kilauea is the home of PELE, the Hawaiian volcano goddess. 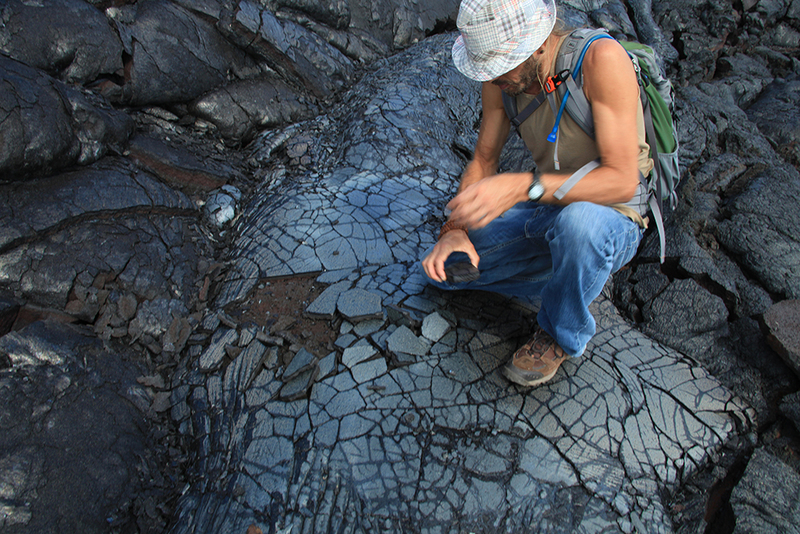 Hawaiian chants and oral traditions tell, in veiled form, of many eruptions fomented by Pele before the first European saw the summit in 1823. 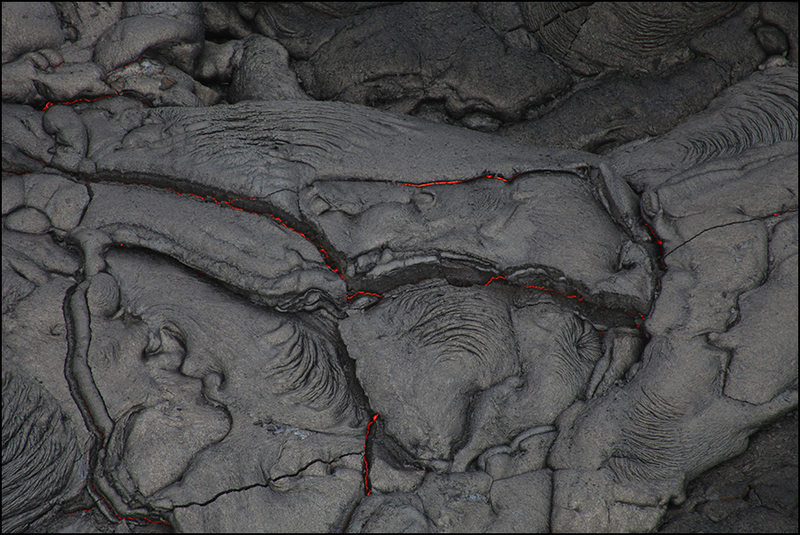 Kilauea is one of the most active volcanoes on the planet and an invaluable resource for volcanologists who are able to study it up close due to its exclusively non-violent effusive activity. 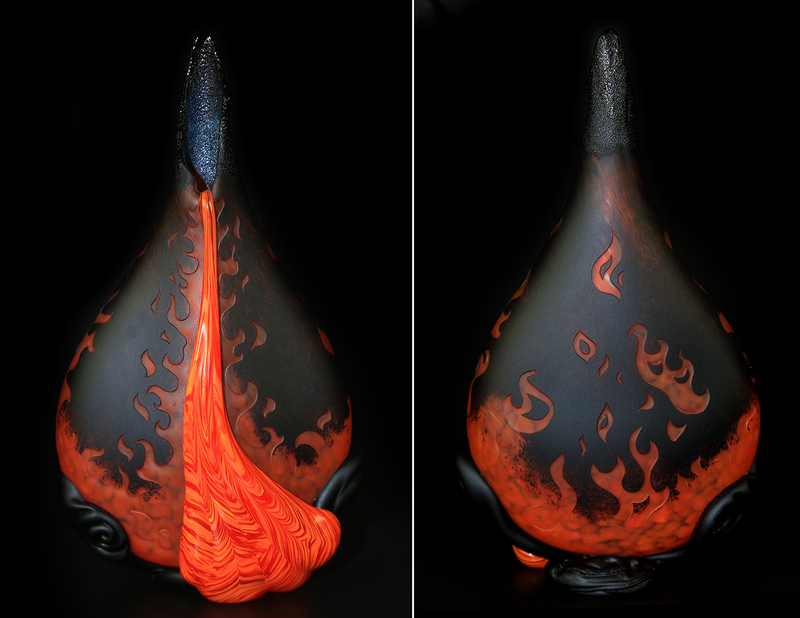 Kilauea means “spewing” or “much spreading” in the Hawaiian language, referring to its frequent outpouring of lava.